Evergreen. Semi double flowers in cooler months. 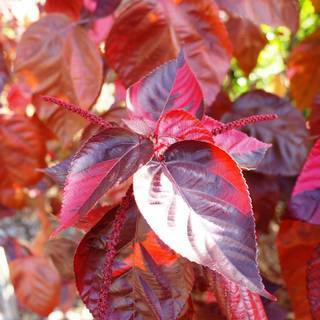 Colour for winter garden; specimen plant, borders & hedging, tub planting, screening, easy-care. 1-1.5m. Hardy to frost, moderately wind tolerant. Most well drained soils; mulch in summer. Prefers partial shade, can adapt to full sun. Camellia's are amongst the best plants to provide winter colour in almost all garden settings. 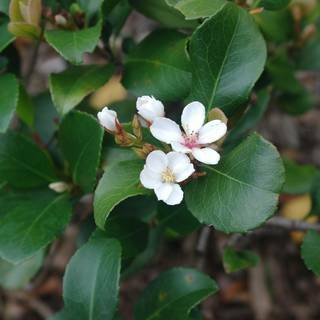 Hardy once established and respond well to pruning to keep a compact growth habit.